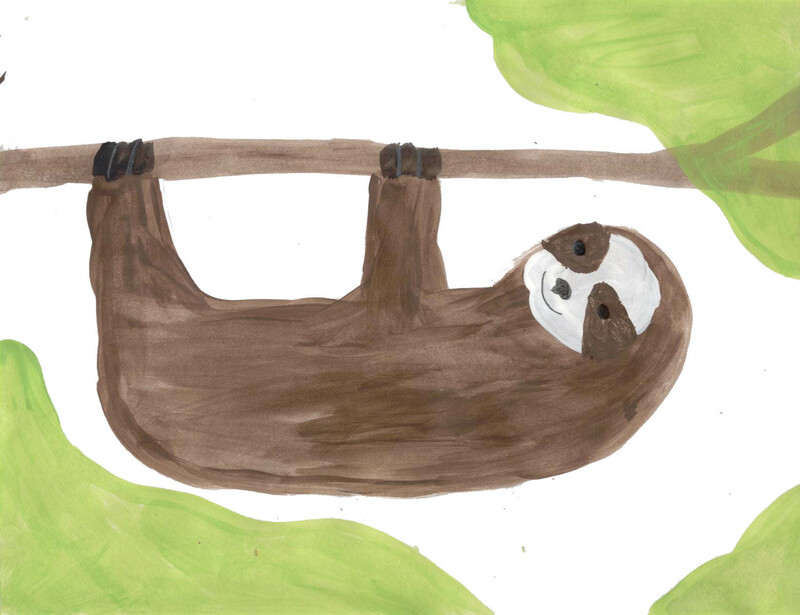 Sloths are very slow mammals (warm blooded animals) who spend their entire lives hanging upside down from tree branches. They are considered the slowest mammal in the world. Their mouths are shaped in a way which makes it look like they are always smiling. Sloths are nocturnal, which means they are most awake at night. They are related to armadillos and anteaters. International Sloth Day is celebrated on October 20th. 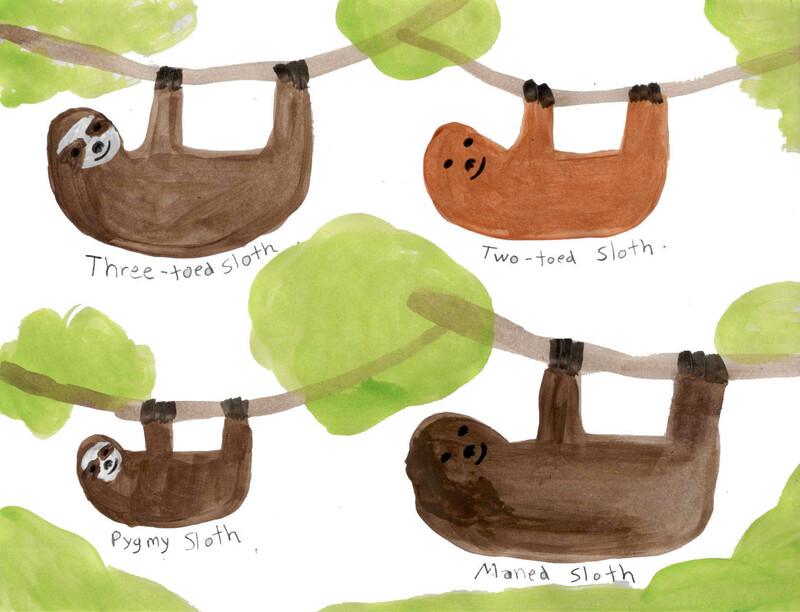 There are six species of sloths, divided into two families: three-toed sloths and two-toed sloths. The main difference between the two types is the number of toes they have on their front feet. 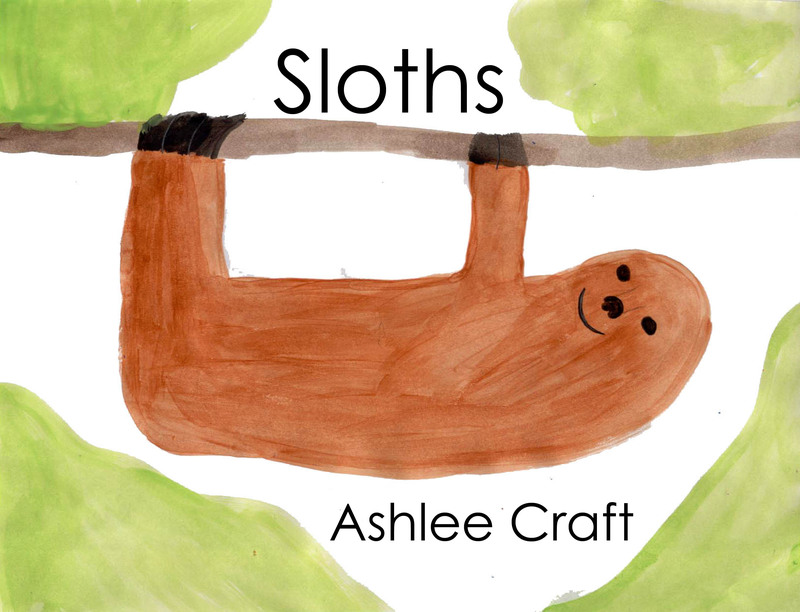 Three-toed sloths also have a tail, while two-toed sloths do not. Sloths are mostly brown or brownish gray but may have patches of other colors. They have long claws which can be 3 to 4 inches (8 to 10 centimeters) long. These claws help them grasp and climb trees.